You don’t have to be a history lover to enjoy traveling through South Carolina's Olde English District, but you will certainly learn about some of America’s earliest events along the way. 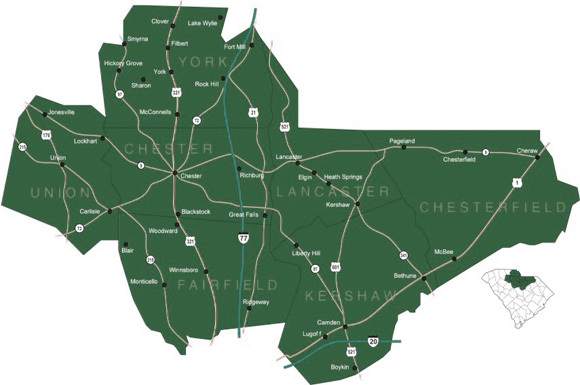 Made up of seven counties in the north central area of the state, the district received its name because of the region’s early settlement by the English in the mid 1770s. 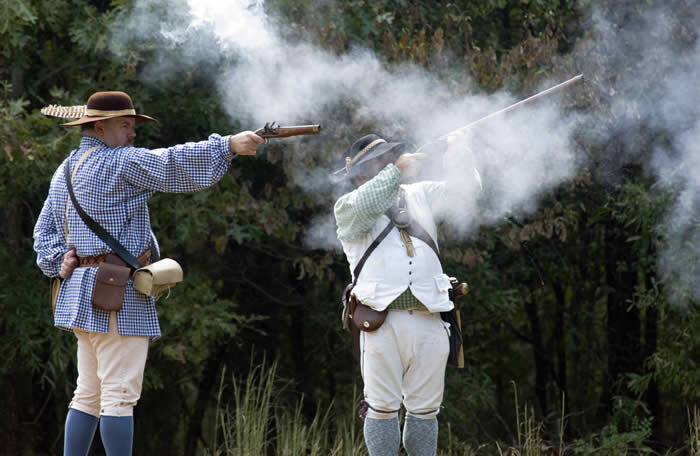 There were a number of Revolutionary War battles fought in the area as well, and historical sites, markers, parks, buildings, and monuments offer hundreds of ways to enjoy and re-live history. Visit Historic Brattonsville, the Catawba Cultural Center, Historic Camden, the lilies at Landsford Canal State Park, Cheraw State Park, the South Carolina Railroad Museum, Bob Doster and the Union County Museum, just to name a few. Mixed in with the history is the very modern Carowinds Theme Park--the Thrill Capital of the Southeast. Enjoy touring the Bonds Conway House in Camden, home of the first African-American in the town to purchase his freedom. Go antiquing at Historic Hill Mercantile in Sharon, a picturesque building (listed on the National Register) filled with antiques, books, glassware and collectibles of all kinds. You’ll also enjoy Hunter’s Antiques in Fort Lawn, with their Victorian furniture and collectibles. Artists studios are abundant in the area, and at Andrew Jackson State Park in Lancaster County, visitors will enjoy a combination of history, art and community activities. Outdoor enthusiasts will find something for everyone: Carolina Sandhills National Wildlife Refuge is a remarkable adventure all its own, with 46,000 acres of land and water, observation towers and a photography blind. With more than 190 species of birds in the refuge, a camera is essential. Others will be intrigued by the Bermuda High Soaring School where beginners and experienced pilots can take to the skies (reservations required), orCarolina Skydive Carolina Parachute Center, or Carolina Adventure World with more than 100 miles of ATV trails in addition to motocross with three different tracks and the only permanent Enduro course in the U.S.
Introduce your children to farm life where, in season, pick-your-own strawberries and peaches tempt little ones and those yearning for a taste of vine and tree-ripened deliciousness. Golfers will find award-winning public courses, made even more enjoyable by the fantastic Carolina weather. 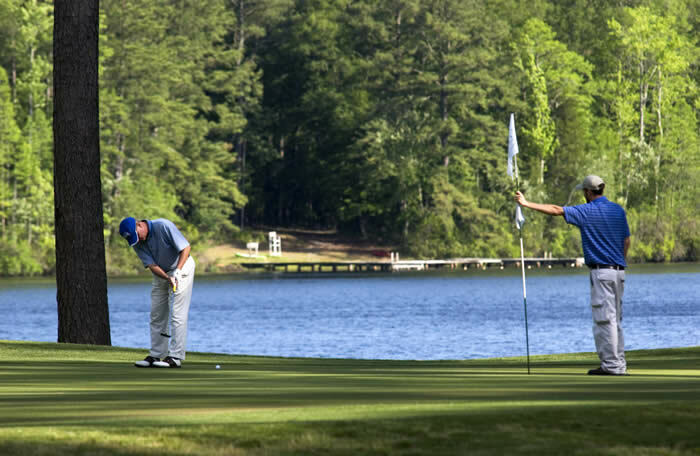 A pleasant surprise must play is the 18-hole championship course at Cheraw State Park. Unque restaurants and accommodations ranging from budget-friendly to holiday splurge assure visitors of all the amenities during an adventure that can last a few days, or a few weeks. For some, it’s the beginning of a love affair that lasts a lifetime! We are in partnership with artists, artisans and food entrepreneurs from around the District to provide unique, handcrafted products prepared in the region. 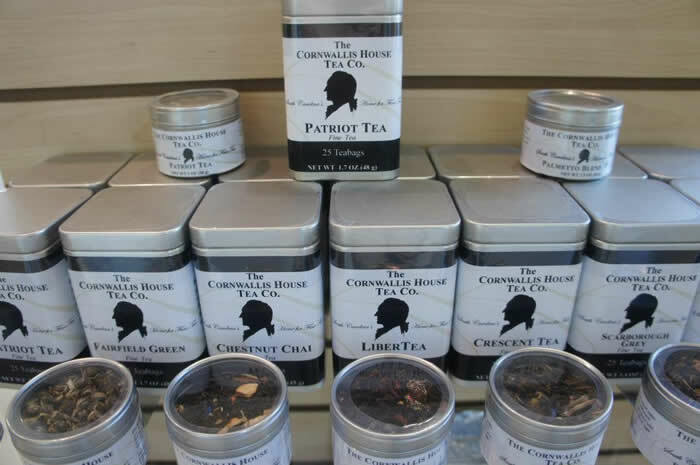 The Market gift shop features one-of-a kind gifts that reflect the diversity and rich flavor of the Olde English District. Like us and preview some of out products on Facebook, then stop and shop at the Richburg location. A bit of South Carolina can be yours today! Come on, get off the interstate and travel the back roads to discover the spirit and charm of the true South in South Carolina’s Olde English District. You will find deep rooted traditions and lots of smiling faces, for we were made for vacations.